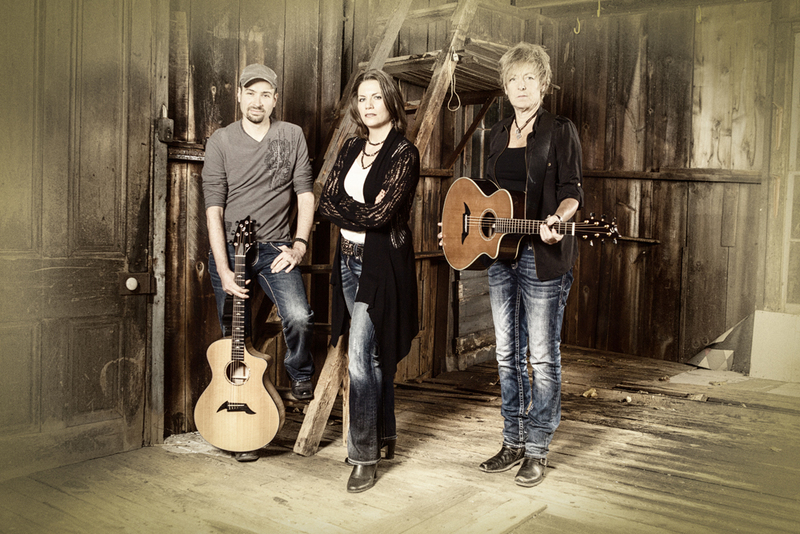 Jamison Road, an indie country music trio based in Greater Cincinnati, is comprised of powerhouse vocalist Jennifer DePalma, her husband and lead guitarist Brent Duersch, and backing vocalist and guitarist Laurie Heltsley. Since inception, Jamison Road has recorded two studio albums in Nashville, entertained thousands of fans across the country, signed a deal with Sojourn Records, and joined the ranks of the Breedlove Guitars Artist Program. Soon after founding the band in 2010, the long-time songwriters, composers, and musicians combined their talents to release their self-titled album Jamison Road in 2012. Recorded at Beaird Music Group in Nashville, their debut was met with great enthusiasm by industry insiders and country music fans around the world. In late 2013, the band sparked the interest of Sojourn Records in New York. “Their music is well-crafted; the recordings are first rate”, said Mark Ambrosino, President and Co-Founder. “They have done all the things necessary to move their career to the point where we at Sojourn feel confident that everything is in place to take it to the next level.” The band was signed to the label in May 2014, and their highly-anticipated second studio album Let it Rain was released by Sojourn Records in August 2014. In May 2015 they re-released their debut album Jamison Road on the Sojourn Records label. When Jennifer, Brent, and Laurie take the stage, it’s apparent to everyone that these three were meant to make music together. Having played across the nation from California to Virginia, from Lake Erie to the Gulf of Mexico — while still performing frequently throughout their home states of Ohio and Kentucky — Jamison Road attacks the stage, bringing powerful and passionate country music to audiences of all sizes and ages. 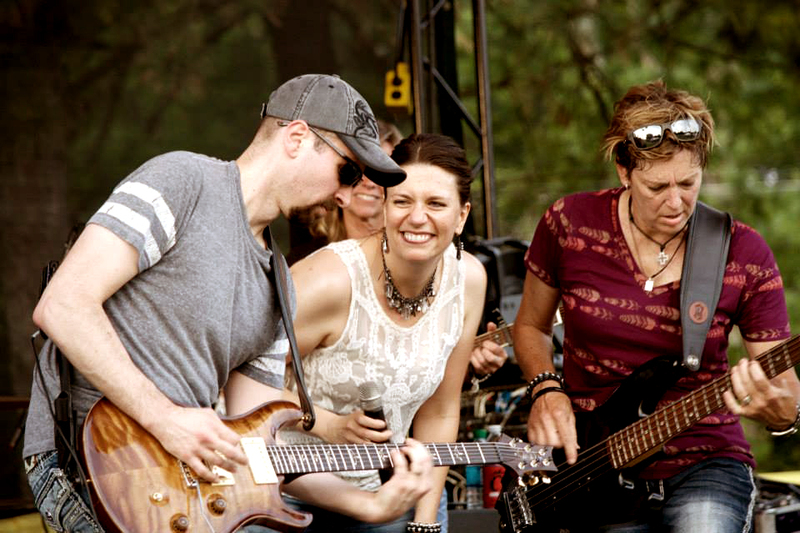 In May of 2015 Jamison Road completed their first cross-country tour, playing shows near Cleveland, Chicago, Des Moines, Reno, Napa, Los Angeles, Austin, Houston, and Memphis (and racking up nearly 6700 miles on the tour bus) before returning to the Cincinnati area for a summer full of regional performances. Jamison Road has had the honor of sharing stages with artists including Dustin Lynch, Frankie Ballard, The Lost Trailers, Trick Pony, Exile, Dallas Moore, Earl Thomas Conley, and Ronnie McDowell. The trio has performed live on national television, taking the spotlight for performances of “The Star-Spangled Banner” and “God Bless America” at Kentucky Speedway prior to two NASCAR races (Kentucky 300 on ESPN and Quaker State 400 on TNT) in 2013. They have also made several radio appearances, including a live performance on the Drink of Ages Radio Show which was broadcast on Badlands Radio and ESPN Radio. When Jennifer DePalma sings, people listen. She has one of those voices — powerful, soulful, and belonging only to someone who was born to sing — that will make you remember the first time you heard it. With passion and an unparalleled love for music, Jennifer captivates a live audience from the very first note. A gifted songwriter with a knack for tugging at the heart strings, Jennifer, together with her husband Brent, have composed dozens of original songs spanning multiple styles and genres over the last decade. Brent Duersch plays guitar — any guitar — with the single prerequisite that it rocks. Brent brings raw energy and high intensity to any instrument with strings. His unique compositions unapologetically soar and often serve as the crowd-pleasing punctuation mark to the band’s live sets. A talented composer and arranger, Brent is completely at home in the studio as well, having accumulated production credits playing comfortably alongside world-class Nashville studio veterans on both Jamison Road albums. Brent is also a popular advisor on all things guitar-related as evidenced by the followers of his personal website www.brentduersch.com. Brent collects and plays Paul Reed Smith electric guitars and Breedlove acoustic guitars. Laurie Heltsley is a veteran of the country music scene who has finally found her home as a guitarist and backing vocalist with Jamison Road. As a bassist, Laurie toured regionally with country-artist-turned-bestselling-author Todd Henry while opening shows for Diamond Rio, Toby Keith, and Kenny Chesney. Laurie reprises her role as bassist during Jamison Road live shows and provides signature vocal harmonies that blend effortlessly with Jennifer’s melodies. Observers are likely to see Laurie forego the bass for the acoustic guitar or cajon during more intimate acoustic performances. A storyteller by nature, Laurie is also a gifted songwriter whose characters are flawed and memorable. Laurie collects and plays Fender bass guitars and Breedlove acoustic guitars. Jamison Road is proud to be endorsed by Breedlove Guitars!